Evan Knapp wrote most of the songs for Green, his debut record, when he was 18 or 19 years old. The whole album conveys precious innocence and a shared sense of nostalgia through Knapp’s well-crafted songs and impressive musicianship. Knapp is an astounding bass player who plays in several local acts. His R&B and jazz sensibilities come through in all dimensions of his songwriting, singing, and multi-instrumental playing. Knapp’s good friend and collaborator, Salvatore Manalo, brings a Latin jazz feel to Knapp’s grooves by adding guitar or keyboard playing on all the tunes. In “Today” Evan sings with the smoothness of Dido and the swing of Sade, starting the song with a sweet croon “Baby. How’s your day been?” Knapp continues his smooth swing and creative rhymes in “House” with an earworm “you know I ain’t hard to satisfy.” “Windmill,” a jazzy track describing Knapp’s bike trip from Salt Lake City to Portland and a love that he can’t shake out of his mind, is only available on the CD and Bandcamp. It’s worth adding that Evan is a remarkably considerate person. I guess this is what might happen when someone grows up working on their parents’ organic farm and living abroad as an exchange student. When I first met Evan he was checking out all sorts of bands and venues, getting to know local musicians and their music. He supports other artists by playing in their bands and attending a lot of gigs. He has become woven into the fabric of the music community. His immense talent and supportive attitude make him one of Portland’s shining stars. Get to know more about Evan through his brand spanking new documentary video on the making of the EP. Check out Evan’s website, which includes links to all the major streaming services. The next opportunity to hear him play live will be on February 6th at Kelly’s Olympian with Sweet N’ Juicy and There Is No Mountain. And if you’re still enjoying this music review, please consider clicking on the sidebar to listen to the Portland Notes on-line stream and subscribing to the Portland Notes music blog so you can stay in tune with Portland’s amazing local music. 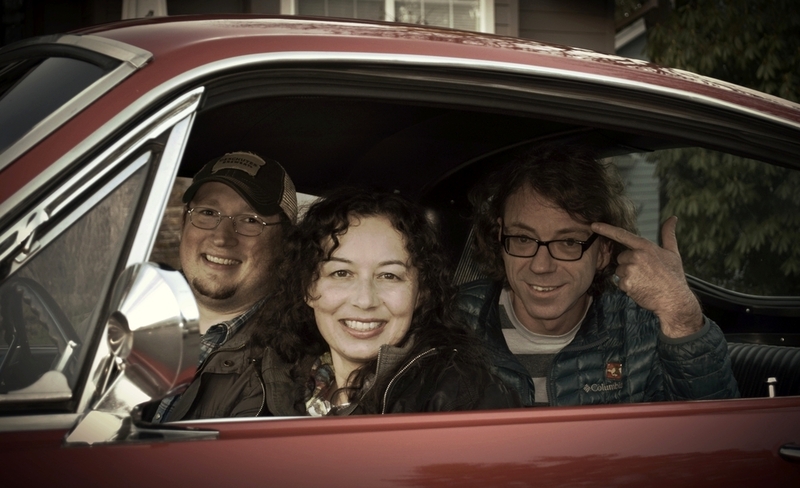 Indie trio Rocket 3 is back with a new album that will knock your socks off. Their first album, Burn, was an absolute gem, so it is no surprise that this one, What’s the Frequency?, is solid gold as well. This album is not to be missed, and will take you on an emotional journey filled with nostalgia. What’s the Frequency? kicks off with a jangly tune titled “I Choose Love.” The use of glockenspiel combined with Ramune Nagisetty’s warm vocals is so soothing, it sounds like a more intricate version of a lullaby. Not only is this a great song, it comes with a beautiful message, especially in this divisive political climate: we should all choose love. The second song on the album, “Echoes,” recounts a memory of an audience member being humiliated in an auditorium full of people laughing at their expense. The lyrics paint this picture as clear as day, and you can’t help but empathize for said audience member. The following tune, “What If” is a brilliant song about the struggles of drug addiction and how a “little pill” can ruin relationships. Despite having such a heavy subject, this song sounds uplifting. The use of masterful lyrics, a lilting melody, an epic rhythm section by Andrew Anymouse and Kenneth Foust, along with soulful keyboard by Gavin Duffy, make this song such a treat to listen to. Next is my favorite song on the album: “Hip Shot.” This song is unbelievably catchy, and the saxophone playing by the very talented Gavin Duffy, really adds to this track’s shine. The infectious groove of this song will make you want to dance. After this comes “Favorite Thing,’ a song about true love and how it has grown over time. This song has a reggae feel, and is sure to hit home for those in love – both new love and love that has stood the test of time. Following this is a feel good summer jam, “Slow Your Roll,” which is all about taking it easy. The following tune is a breakup track titled “Giving Up.” This song has very relatable lyrics that tug at the heart strings, and will resonate with those who have ever been through a breakup. Gavin Duffy slays on keys, Kenneth Foust and Andrew Anymouse bring the groove, and Ramune Nagisetty nails it on the rhythm guitar as well as on vocals. Nagisetty’s vocals throughout the album are rich and emotional, conveying the feeling of the songs so well. The next song, “I Don’t Need Ya,” is about the root of all evil, money. Specifically, it’s about breaking away from the concept that money rules all. The closing track on the album, “Evershine,” is about a relationship that has run its course. Nagisetty sings from the point of view of the partner who has been wronged time and time again and is leaving. This song is very musically interesting, and includes gorgeous saxophone playing performed by Gavin Duffy, metallophone performed by Andrew Anymouse, and a melody that is sure to get stuck in your head. This tune starts and closes with beautifully harmonized “oohs” and “ahs” that may induce goosebumps. This album is incredible from start to finish. It has been in my heavy rotation since I got my hands on a copy in July, and I have a feeling it will be for a long time. 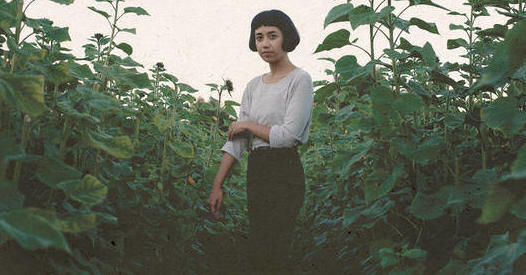 Be sure to give it a listen if you are on the hunt for ingenious indie-pop with all the feels. 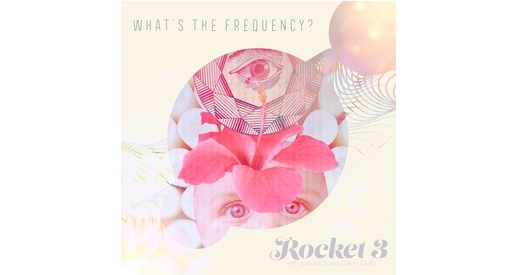 Follow Rocket 3 on fb, their website, SoundCloud, Spotify, and wherever you listen to music. 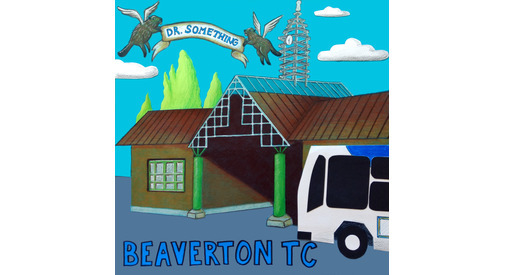 Dr. Something’s new single “Beaverton TC” is adorable, effortlessly enjoyable, and worth listening to on repeat. The chamber pop tune kicks off with a rolling piano riff, evoking the cheery demeanor of the Peanuts theme song “Linus and Lucy.” The contortion of language in support of rhyming makes some of the verses sound almost Shakespearean. When I’m looking to catch the bus to Tualatin? The tune conjures up visions of a musical about suburban Portland, something along the lines of the Simpsons with a twist of Dilbert. Somehow a musical or TV series on transit centers seems timely now that the Portlandia TV series and the Portland culture of the ‘90s are officially over with. Beaverton TC could inspire a TV series about minivans, high school sports, and very friendly naïve people who are barely aware that a city called Portland exists, except for a few restaurants and an airport. I can already imagine a series of entertaining skits depicting Portland musicians, exiled from the city due to high rents, embarking on Tri-Met seeking affordable apartments in the suburbs. These seemingly related species, city-dwelling musicians and suburbanites are largely unfamiliar with each other’s existence, with the exodus of musicians to the suburbs providing fodder for endless parodies. It is also worth noting that Dr. Something, a.k.a. Alison Dennis, wrote a worthwhile bonus track to promote the new song. She calls it a “jingle for the single”. Alison is working on an entire transit center collection, which I can’t wait to hear. In particular I’m looking forward to hearing about my own suburban neighborhood transit center, the Sunset TC. Besides being a multi-instrumentalist and songwriter in Dr. Something, Alison also plays keyboards and saxophone in All I Feel is Yes and is a live music sketch artist. Her sketches are a hand-drawn documentary of Portland’s live bands and venues, capturing fleeting moments of an endangered cultural pastime. 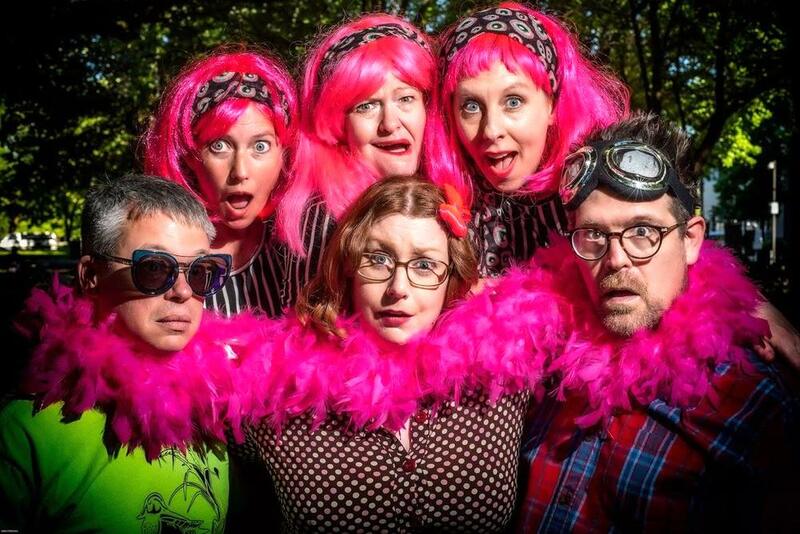 Catch Alison with her band featuring bassist Jacob Anderson, drummer Michael Wilding, and back-up singing, go-go dancing sensations Amy Baxter, Erika Garlock and Christie Welsh at the single release party on Thursday, Sept 13, at Kelly’s Olympian. Follow her on fb, check out her website, and stay tuned to Bandcamp and SoundCloud for the rest of the transit center series. P.S. If you enjoyed reading this, please subscribe to the Portland Notes blog. Also, we are looking for a few more writers who are enthusiastic about sharing their stories about Portland music culture, including album and live band reviews. Thanks for reading!